Growing up I went to Disney World almost every year. My parents were huge Disney fanatics and wanted all of us to have a special vacation each year. Of course, they claimed it was for my brother and me, but let’s be honest they wanted to have fun as well. Our recent trip was the first time JL and I took the boys to Disney World. It was only fitting that Nana and Papa go along with us. 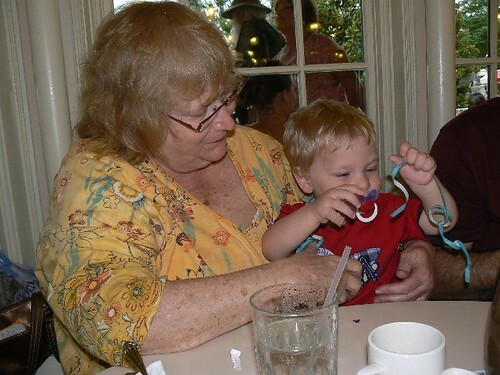 They went to celebrate special birthdays and to see their grandsons experience the Disney magic for the first time. Before I get into posting about everything from our trip (still tons of photos to go through), I wanted to take a minute and thank my parents. Thank you for not only making me the huge Disney fan that I am, but thank you for experiencing the magic with us this past week. The boys and I were so glad to have you there during most of the day and each evening for our special dinners. It was so amazing seeing not only NHL and JSL’s faces, but also yours as you watched your grandchildren becoming little Disney fanatics of their own. What great pics, can’t wait to see more. Love JSL tweaking Pooh’s nose! Can’t wait to see and hear more. I didn’t realize that your parents came along with you to Disney. What a blessing it is to have involved grandparents! That is so great that your parents were able to go with your family! Can’t wait to hear more about your trip! YAY!!!!!! 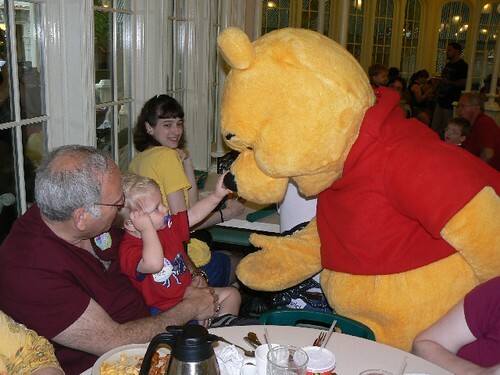 You ate with Pooh and friends. I LOVE it there. :) Welcome home – although after Disney everything is kind of pale and less friendly. Ya know?